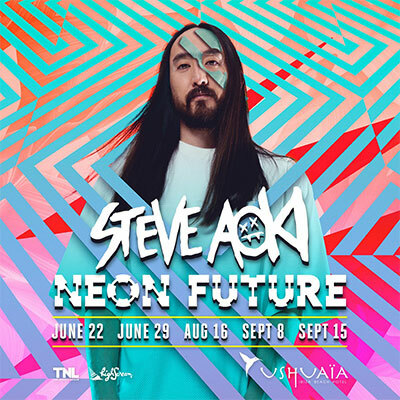 Ushuaia is the perfect setting for Steve Aoki’s Neon Future Bonanza! Armed with mind blowing visuals, lasers, smoke and of course, Aoki’s infamous hands-in-the-air beats, Ushuaia and Aoki certainly put on a show to remember! Neon Future is on at Ushuaia throughout the summer months. Make sure you check dates before you go.